For the Love of Character: Guestroom Reveal! 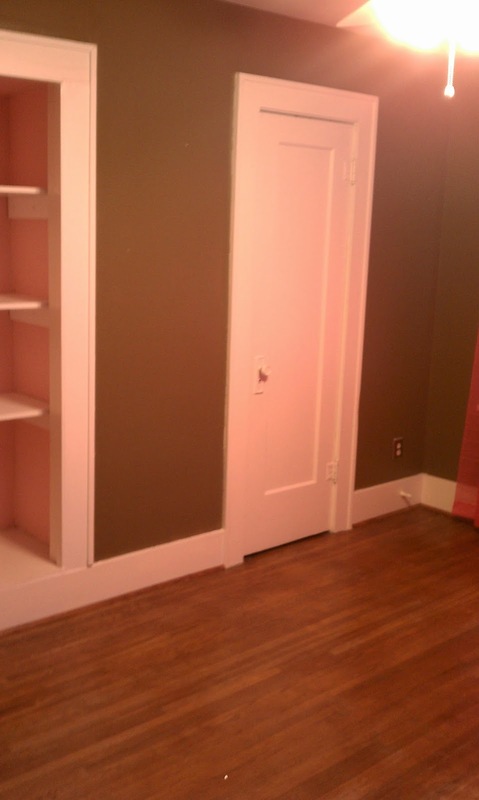 This is what the room looked like the day we closed on the house. Then I let my little brother live in there. This room has been through a lot! 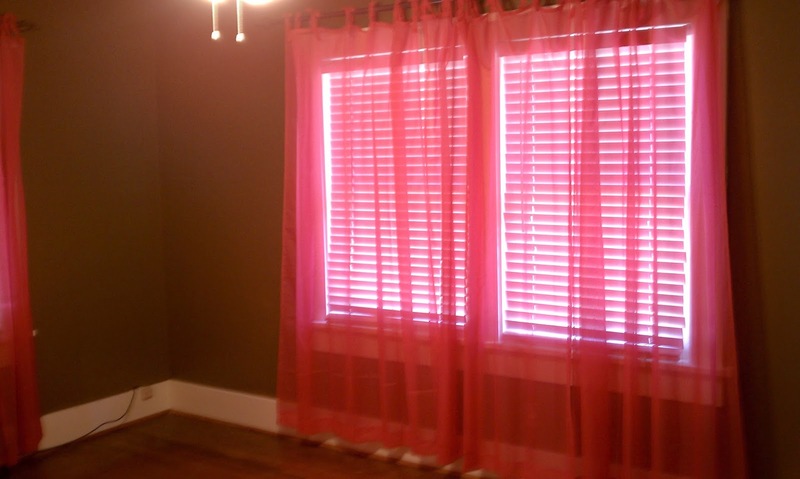 It needed to be brightened up and I wanted a room that was relaxing and light for my guests. Painted the shelves the same color as the walls and then put a TV and some fun knick knacks. More importantly, put fresh flowers, which guestrooms should have when people come to stay! Love how the shelves take up that wall and give some fun color to the room. To see how to make them check out my Gutter Shelves post. Used my childhood iron bed - love the vintage feel - and got all new bedding, down to the mattress pad. Our first guest better feel special because washing and ironing all of that, well wasn't my fav part of the makeover! Love how this light and ceiling medallion from Menard's turned out. Important to have a light and clock in guestrooms. I also like having cute coasters for them to set their drinks on. Took this picture while in London and love the playful feel of it. Made sure they had pens and paper, our WiFi password and a nice smelling candle. I had these canvases I painted in college, didn't want to hang them so I used them as a background to my shelves. In my new storage bench, I put some books and magazines for guests to enjoy. Need to make sure to keep the magazines fresh. So excited to finally hang up my grandma's cross stitch she made for me. The rocking chair was a fun find from Dustin's grandparents. We might eventually paint it, still deciding what color. Love my Pottery Barn Teen bedding set and the pillow I found at Tuesday Morning. The bedding is currently on sale, so check it out if you like it! The rug, from RUGS USA, really ties the emerald green together. Love how it looks! I hope you all love the transformation as much as I do. Now we just need some visitors to come and stay with us! We promise to take good care of you here at the Casa de Billings!